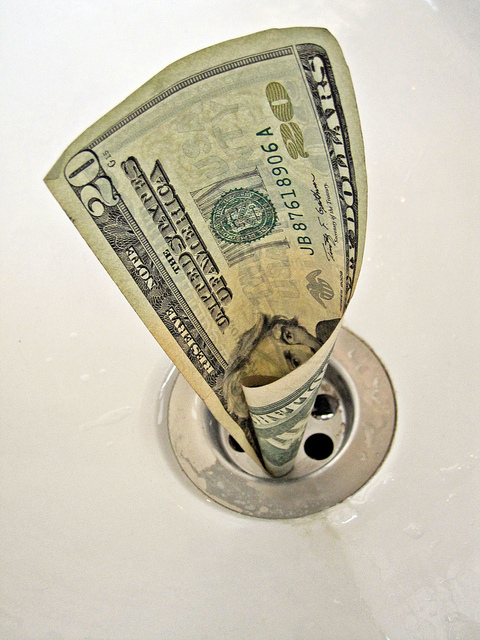 Companies lose more money due to lack of employee productivity than due to any other factors! Would you believe me if I tell you that, companies lose more money due to lack of employee productivity than due to any other factors? And, in an attempt to lower your stress levels, we whipped the content, and crunched it into an infographic. Would you believe me if I tell you that, companies lose more money due to lack of employee productivity than due to any other factors? Do you know that 71% of US workers consider their workplace a significant source of stress? And almost 51% of Americans believe that job stress is the biggest contributor of loss of productivity. It may sound strange, but a recent survey conducted by Academic and Business Research Institute revealed that people in US are so stressed that almost 79% have accepted it as a part and fact of their work lives. Doesn’t sound too fair, right? The stats clearly show that, stress might be the next epidemic. Giving out so much control to stress is wrong. But, this is what is happening people! And companies, even after compensating for all kinds of medical issues and vacations, are still bleeding lots of money just because their employees are stressed. It’s a chain reaction, you see. Running short on time? Read this “15 second” infographic! How many days of Yoga? Final question: How many hours of yoga does one need? 43% fell under irregular appetite, meaning either loss of appetite or stressful binge. Too much of stats, eh? An employee under stress suffers from a reduced attention span and working memory, due to deteriorating health, and is ultimately left frustrated. This affects not only his relationships but his energy levels also. The effect, as we know, finally trickles down, manifold, on the organization. It’s either in form of lower profits or higher cost per employee. Another study found out that health-related work losses, on an estimate, cost US employers more than $260 billion each year. And I am not adding to your worry but, this is excluding the direct medical compensation. When a company, on average, spends almost $29.18 per hour on each of its employee, losing this huge sum over work stress, does not sound intelligent. It may sound repetitive though, but Yoga IS THE ANSWER. Let’s see how a yogic intervention can help you increase profits by making your employees more productive. Did I mention the results are pretty quick too?! 50-70 million US adults report difficulty falling asleep or nocturnal awakenings. Participants of Bikram Yoga report decrease in nocturnal awakenings and feeling of freshness in the morning. This is when they are compared to the non yoga group after only a 14 day practice. 35% US adults are obese and, about 70% suffer from lifestyle induced metabolic disorders. With only little lifestyle modification, people can regulate their appetite as well as emotional distress. This was observed after a regular practice of six months, where scientists found that, yoga balanced the metabolic system (Basal Metabolic Rate reduced to by 13%) with its stimulatory and inhibitory practices. 90% of US citizens suffer from one or other kind of headache or body ache. Therapeutic and relaxing practices of yoga also include Mindfulness Based Stress Reduction (MBSR). A study in this context reported 31% decrease in medical symptoms and psychological distress, while another 17% decrease in ‘daily hassles’. You hit the cause, you solve the problem. Besides, if you have followed our posts, you already know that exercising, especially ones like yoga, gives you more energy. 1 session can maintain metabolism for up to 48 hours. This implies, 3 days a week is enough to keep you fresh and brimming with energy all through the week. A couch potato study found out that having a desk job (sedentary lifestyle) is equivalent to smoking. A 52% higher risk of heart failure! According to scientists, 150 mins of physical activity per week is sufficient to keep one’s heart healthy. When split it into 3 days a week, it gives you 50 mins of yoga, every alternate day. After a 20-minute session of Hatha yoga, participants’ speed and accuracy was tested for brain’s ability to maintain focus and take in, retain and use new information. A significant improvement was found in brain function. Memory, attention, cognition – check! When participants chanted Om for just 10 minutes, a synergistic effect was observed on the vital systems i.e. heartbeat, breathing, brain waves, etc. along with reduction in stress indicators. Frustration – gone! After a year-long practice of Iyengar yoga for 90 minutes weekly, participants reported significant reduction in negative attitude and mood swings. The study also found backbends are more effective than rest. Positive attitude – done! A group of healthy, untrained volunteers when practiced yoga for around a year (2-3 times a week for an hour) reported improved muscle strength, flexibility, and stamina. Finally, health and energy – skyrocketed! Reminding you once again, health-related work losses cost US employers more than $260 billion each year. 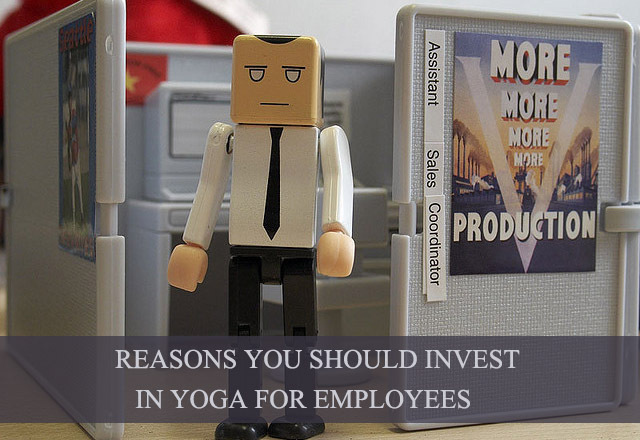 So, you can see how much you’ll save with little investment in a yoga session at office. And you do realize, dollars saved are dollars earned. Don’t you? !